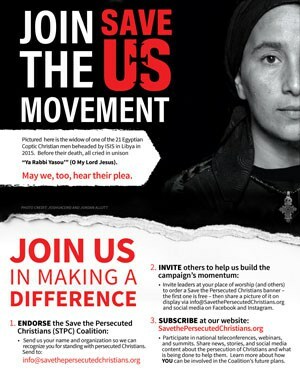 Save The Persecuted Christians offers many resources for pastors, groups and individuals looking to help raise awareness about the more than 215 million christians experiencing high levels of persecution globally. • Please order your banner and starter kit today if you have not already. 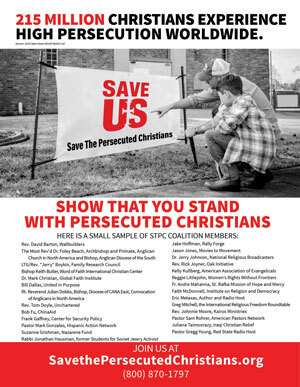 • Also available for download are several different resources for print including a double-sided flyer, a double-sided palm card, and several bulletin insert options.